It’s here everyone. Charlotte Tilbury has officially launched her coveted beauty collection in the U.S. Being Canadian; I was both excited and concerned because there was a chance that I STILL wouldn’t be able to get my hands on it. Fret not everyone, I took advantage of Net-A-Porter's last day of free shipping last week and got my hands on a few products. I know most of you will know what the deal is with Charlotte Tilbury. She’s a British make-up artist whose renowned feline eye has beauty lovers gushing all over the world. Personally, I have been oohing and awing over her line of beauty products for ages now. The very first items I put in my online shopping cart were the Colour Chameleons in Dark Pearl and Amber Haze, two eyeshadow pencils. 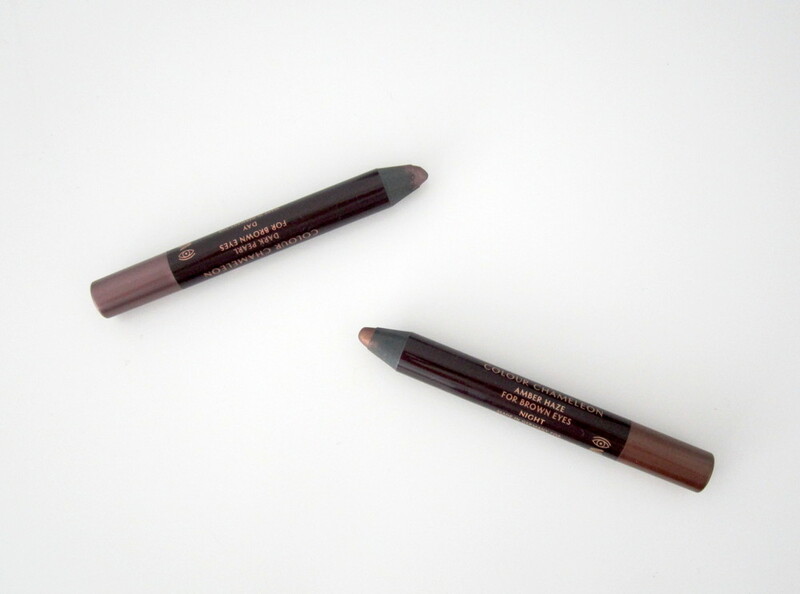 Charlotte distinguishes the Colour Chameleons by eye colour as they are meant to intensify the colour of your eyes; these two are for brown eyes. The Colour Chameleons are the creamiest, most pigmented and long lasting eye makeup products I have ever tried – hands down! Just a couple of swipes across my eyelids, then I blend out the creamy wash of colour with my finger and I look like a million bucks all day long. Dark Pearl is a rich bronze shimmer and Amber Haze is a lovely deep gold shimmer. I can’t say enough good things about these – just try them out, you won’t be disappointed. Next, I picked up the Cheek to Chic Swish and Pop Blusher in Love Glow. I have been longing to perform the “swish and pop” and now I can! “Swish and pop” refers to how Charlotte recommends you apply the blush. You’re supposed to “swish” your brush around the outside colour of the blush, “pop” your brush in the centre colour and apply it on your cheeks. Love Glow has a coral/pink shimmer shade on the outside with a bluer undertone pink as the centre colour. The shimmer of this blush is similar to what you want as a highlighter shimmer, so I found incredibly flattering on the cheeks. I love this blush so far; it accentuates my cheeks nicely and leaves a great pop of colour. Of course, since I was picking up a blush I had to get the Blusher Brush as well (it’s basically a requirement – right?). This is my favourite shape for a blush brush, round but flat (you know what I mean?) and it’s a great size for evenly applying colour on my cheeks. 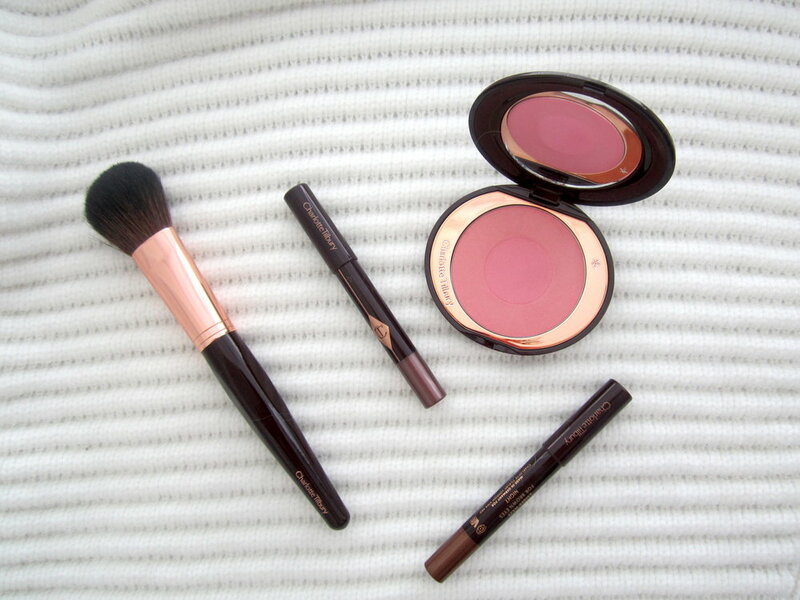 It works beautifully with the Charlotte Tilbury blush in addition to loads of other powder blushes I’ve tried it with. The brush looks incredibly luxurious with a gorgeous brown handle and rose gold hardware. I’m very happy with my new addition to my brush family. So far Charlotte Tilbury’s beauty range has exceeded my expectations. I can’t wait to get my hands on a couple eyeshadow palettes, lipsticks and eye pencils (maybe even the Magic Cream). What have you tried from Charlotte Tilbury? What products are you interested in trying?